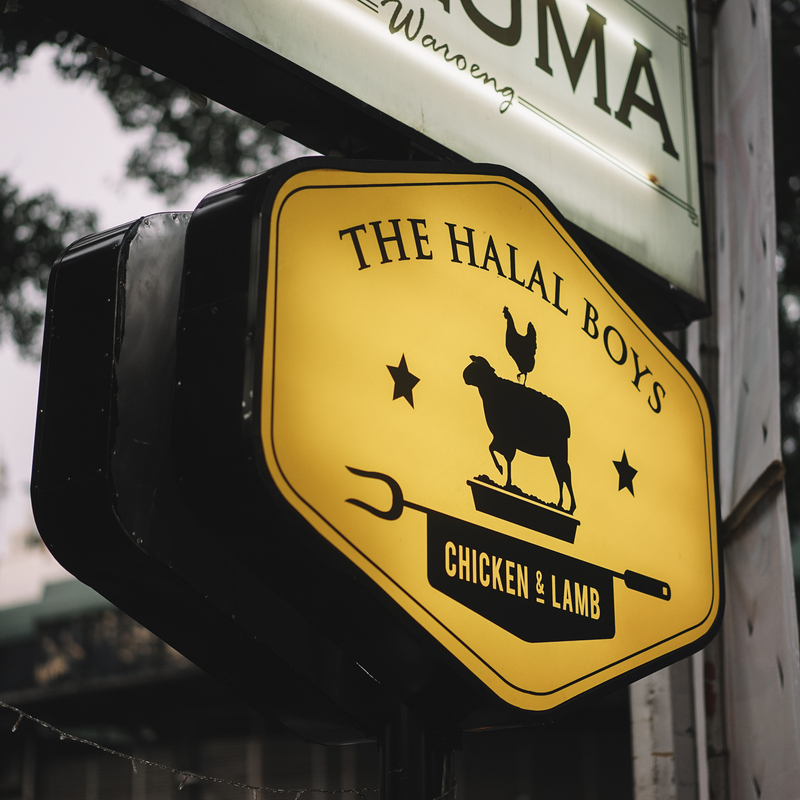 This will be a short review of this current highly talked-about place called “The Halal Boys” and their single menu: Gyros rice, and yes from its name, the food served here is HALAL certified. It’s located just opposite the Manadonese restaurant, Beautika, in the form of island stand (so it’s tiny with several tables and seats). 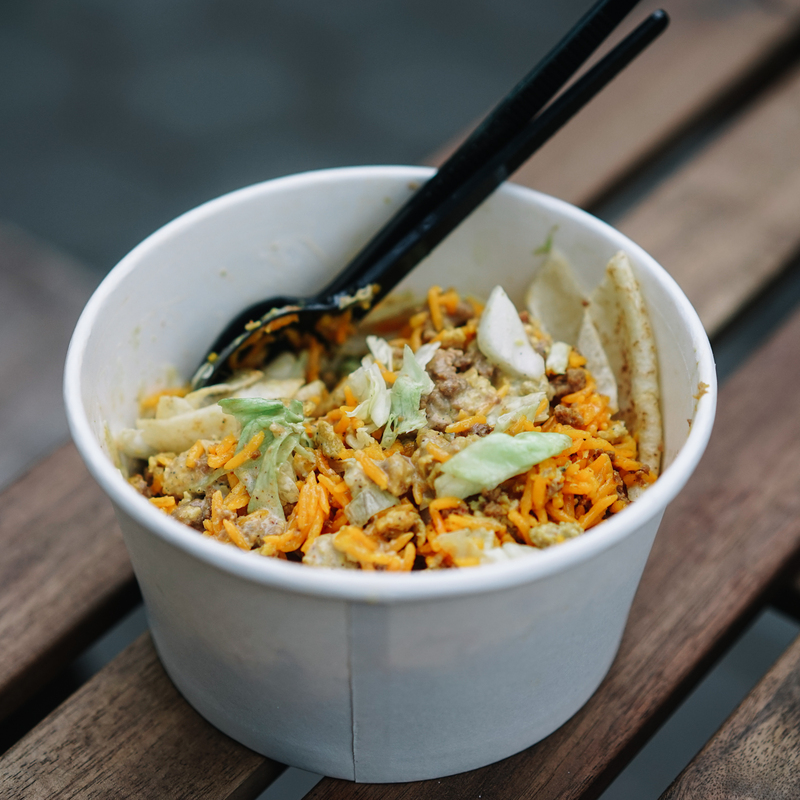 If you’ve heard about “The Halal Guys” in New York City, the concept is pretty much the same. Anyway, there has been questions whether The Halal Boys is the same as The Halal Guys. After a little research on the Internet, Twitter and Instagram, I still couldn’t find the exact answer, but from what I read, I assume they’re not the same. 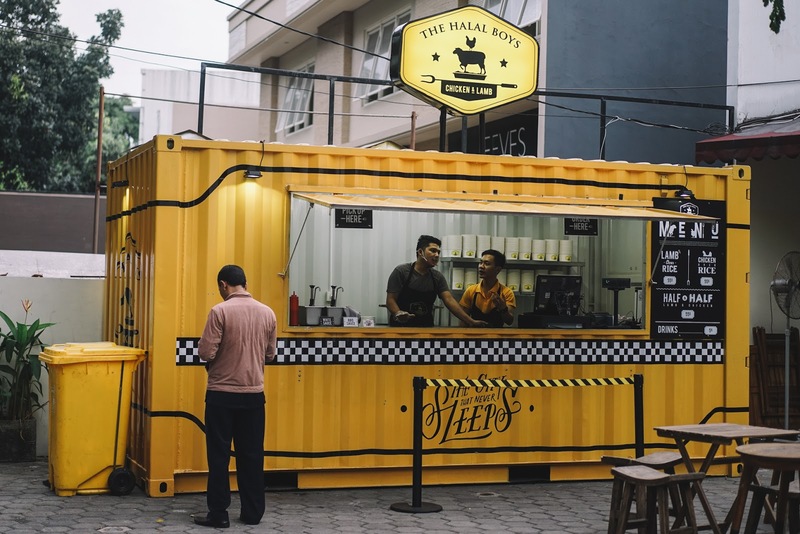 The Halal Guys made an announcement on the Instagram saying they’re opening soon in Manila and Jakarta, but there’s no further reply everytime the followers ask both parties whether they are under the same brand. If I happen to be wrong in the future, I would edit this post. 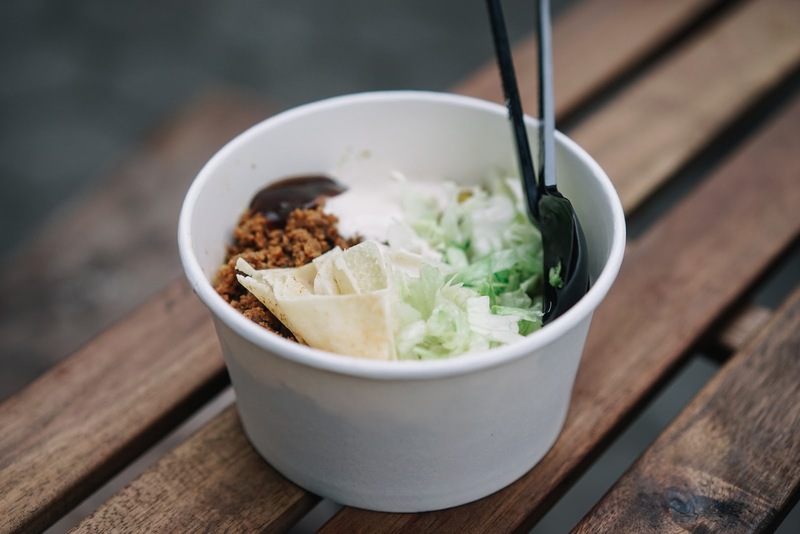 Basically Gyros rice consist of fragrant brasmati rice (Indian rice) soaked and marinated with spices and condiments such as meat, lettuce, cabbage and pita bread. They offer three meat options here: chicken, lamb and half-half (chicken and lamb) and all priced as same as IDR 55k. They currently only have mineral water (300 ml) for the beverage, priced at IDR 5k. The ordering system is self-service, you order what you want and wait until your number got called to collect your meal. I tried their Half&Half because I wanted to experience how unique can the flavor of the lamb & chicken be in a single serving. For a touch of yum, try adding in their white sauce, BBQ sauce or extremely hot sauce. 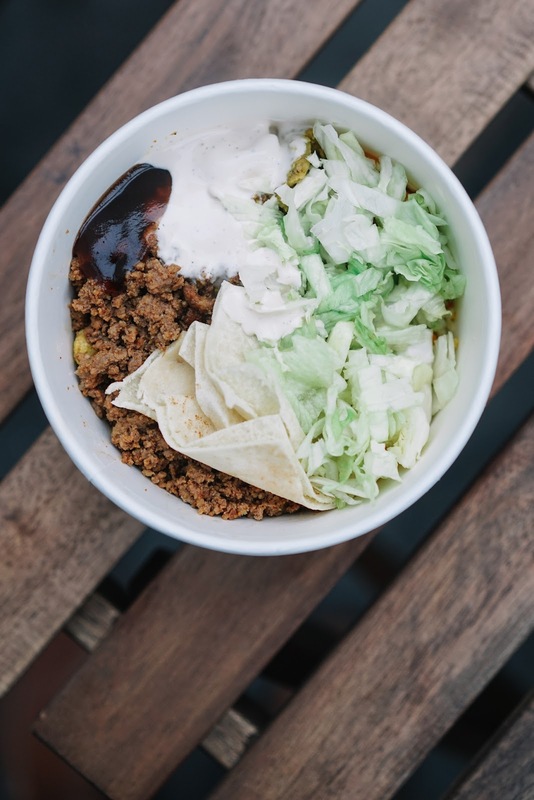 I prefer not adding in the chili sauce because I want to keep the flavor as original as possible, but I did add in their white sauce on the side. The white sauce had this light-cream texture and tasted like savory yogurt. I had nothing bad to say about the rice, I am a huge fan of brasmati rice and for me, you can never go wrong with brasmati unless you overcook it. I once made fried rice from it and it was divine. The rice was seasoned nicely and fragrant, but as I scoop everything for a single bite, I soon found that the lamb flavor overpower the chicken flavor, if not, I barely taste the chicken flavor, just texture. I wouldn’t say it stinks, but it did has that mutton smell to it, but nowhere near bad. I didn’t find anything special about the pita bread since it didn’t contribute much to the serving. Overall, I still find it a good simple comfort food, and IDR 55k is still a pretty good deal, I mean that’s the standard of the pricing these days.